Here’s how it works: patients go online and log into their MyCarolinas account to access eVisit. 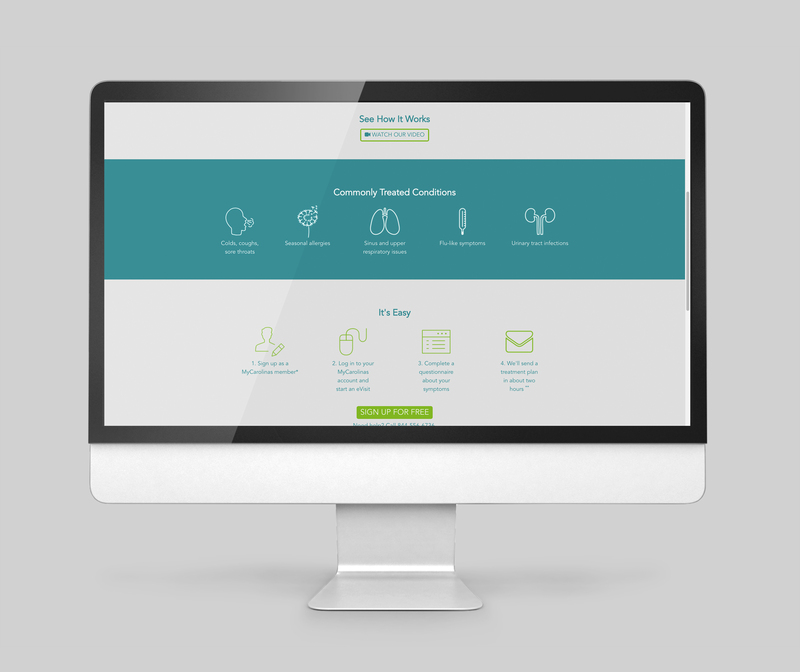 Then, they answer a few questions about their symptoms. 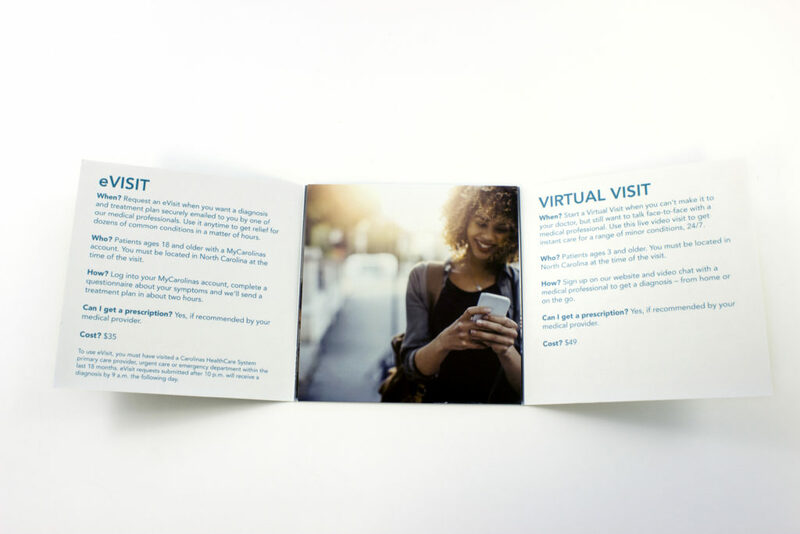 In just two hours, they receive a secure message from a medical provider with a diagnosis, recommended treatment plan and a prescription, if needed. 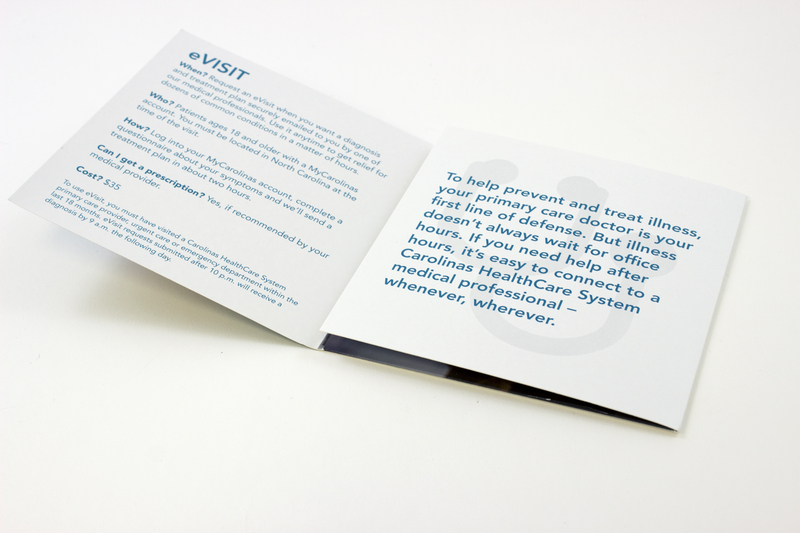 To achieve the first goal, we collaborated with Eli Guillou to create a brief, animated video with motion graphics that describes how and when patients should use eVisit. 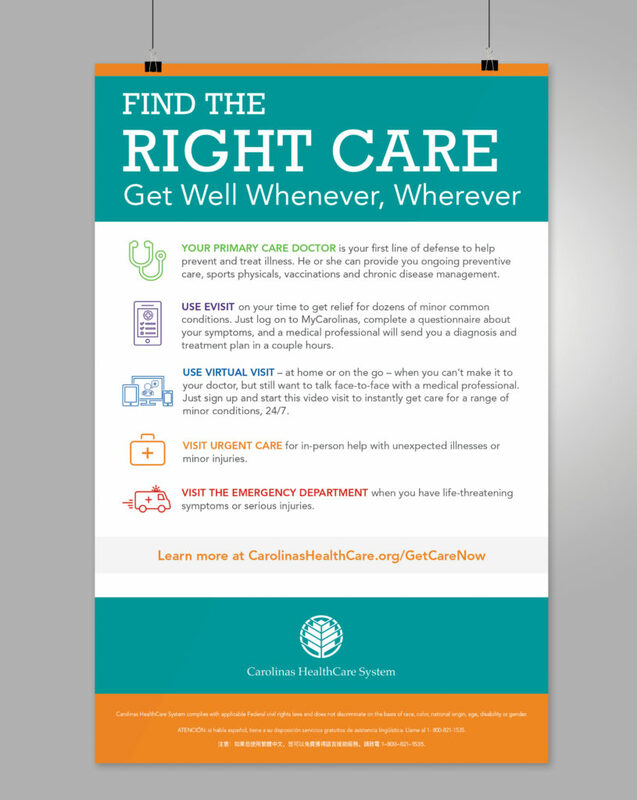 Carolinas HealthCare System sent the video to patients via email and shared it on social media, along with a link to a landing page with more information about eVisit and a list of frequently asked questions and the answers. 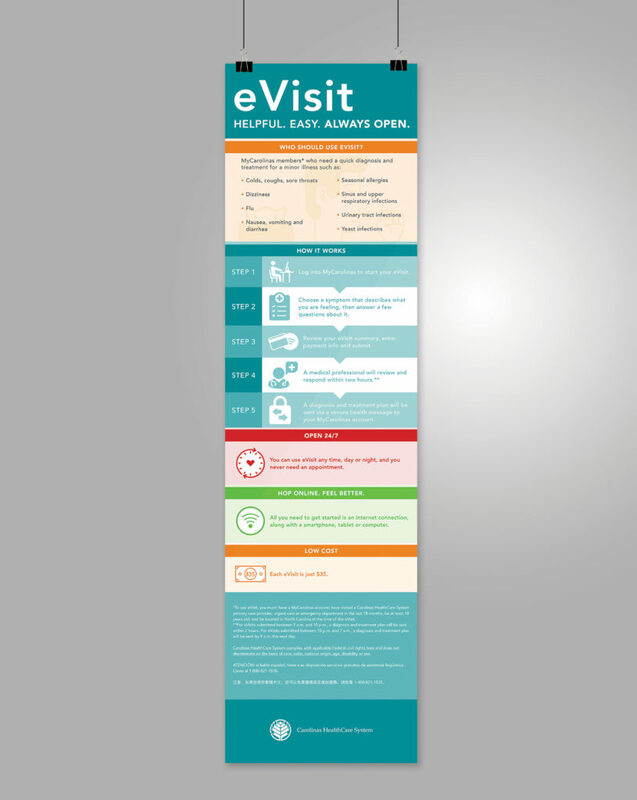 We also created an infographic with step-by-step instructions for how and why to use eVisit, along with the answers to the top frequently asked questions. Finally, we created a simple, eye-catching web banner to encourage people to start an eVisit, or to find out more information about it. 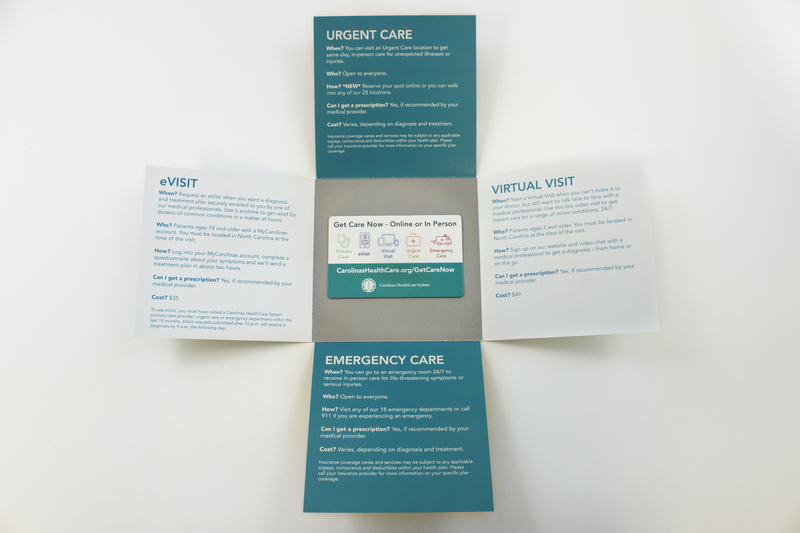 To achieve the second goal, we designed a brochure, lobby banners, and posters to clearly describe how eVisit fits within their other options to “Get Care Now,” which includes primary care, urgent care, emergency care, and another online care option called Virtual Visit (see why this might be confusing?). 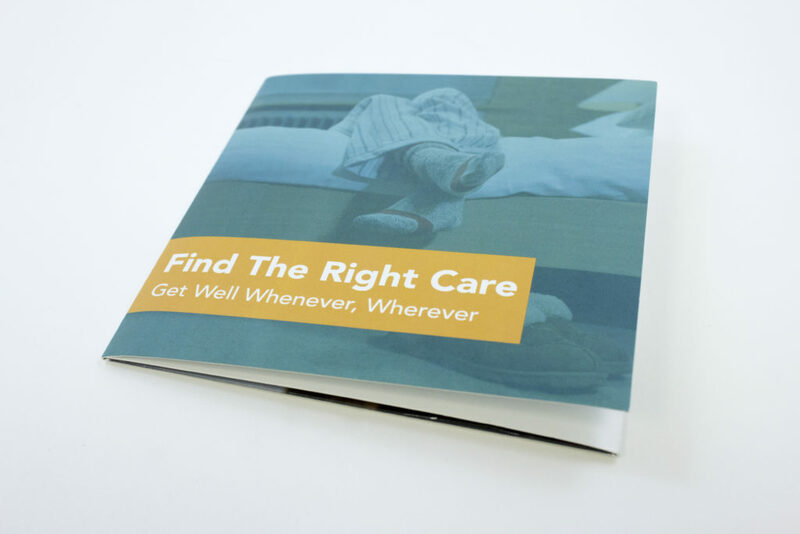 We knew the brochure needed to be relevant, useful, and fun to read to be effective. We also wanted it to stand the test of time since most people don’t think about their healthcare options until they have a problem and really need help. 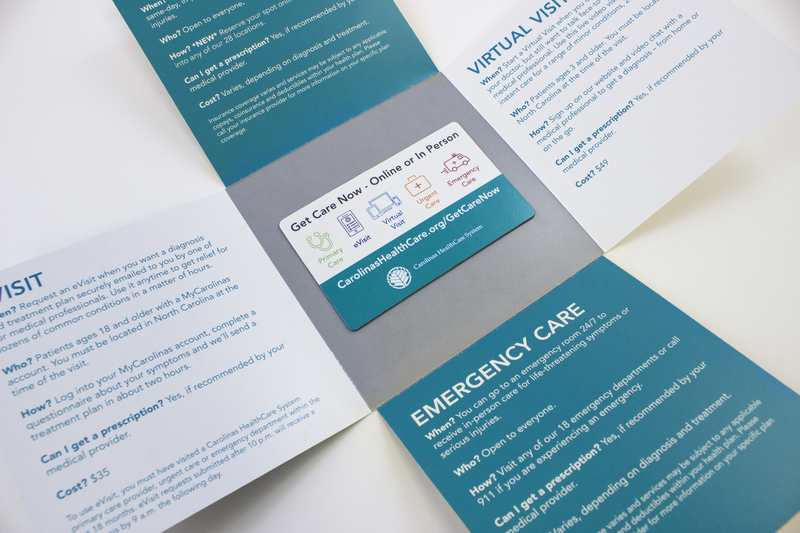 After presenting a few options, we agreed on a design with vibrant colors, a unique fold, and a magnet in the center for patients to put in a convenient place to remind them of their care options with Carolinas HealthCare System. 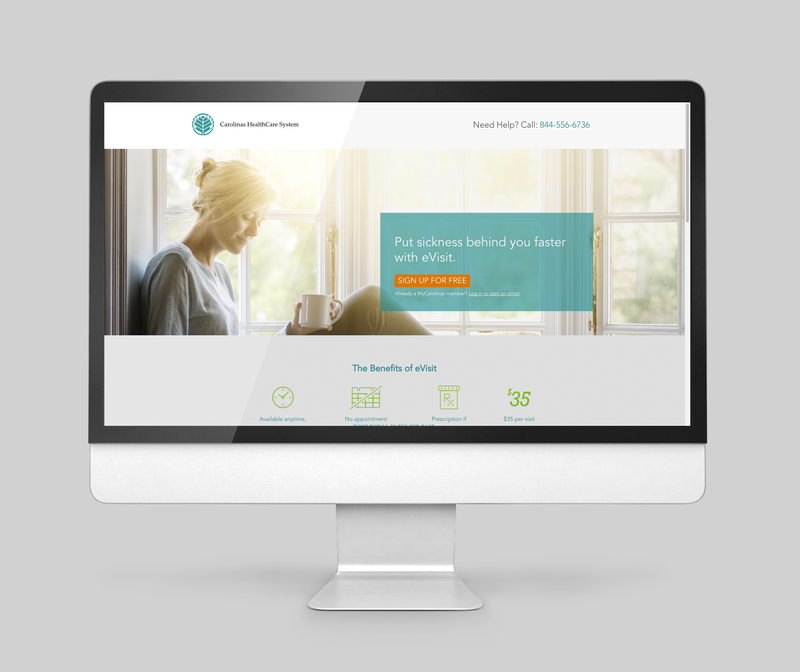 Need help achieving your goals? 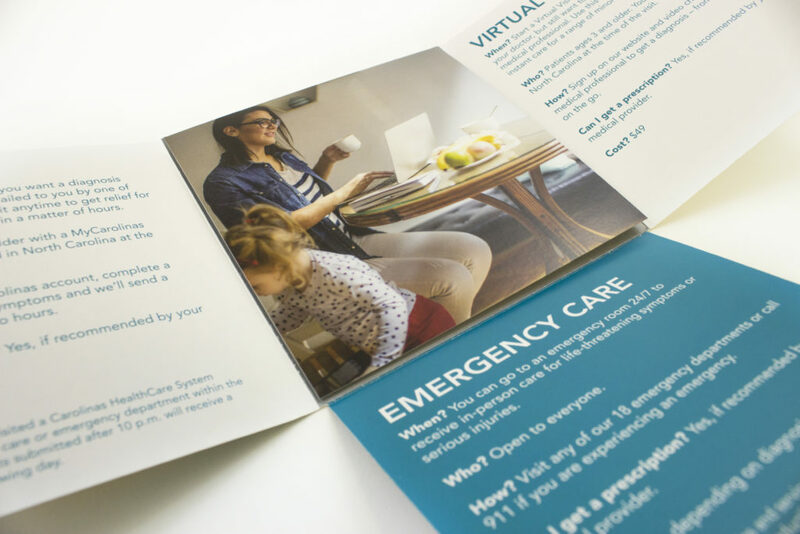 View more examples of our marketing and design solutions here.